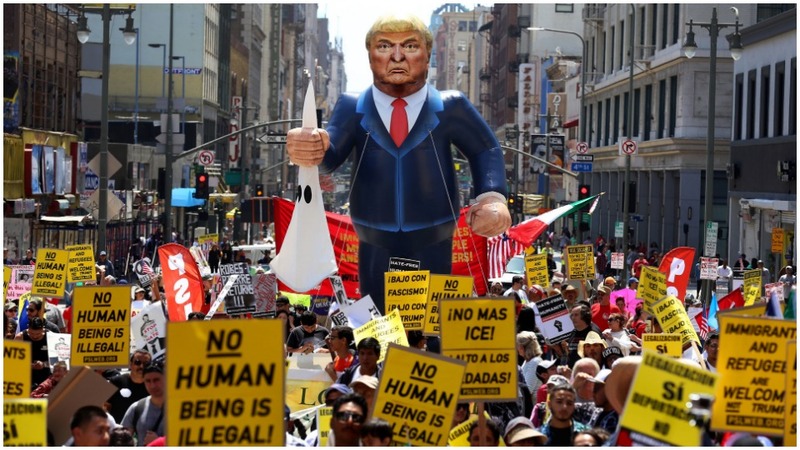 LOS ANGELES—The labor movement of Los Angeles, regarded by many as the most progressive in the country, will once again coalesce for a massive demonstration of people’s power on Wednesday, May 1, on the streets of the city. May 1 is International Workers’ Day in virtually every land. The theme of the march and rally is “LA People’s Power/LA Poder del Pueblo,” calling out the Trump administration’s ongoing attacks on immigrants and workers. 1.) Celebrate worker victories and uphold their right to unionize. 2.) Everyone must be counted in the Census. 3.) Earning a living is a human right. 5.) Voting rights for all in municipal elections. The May Day event starts at 3 pm, leading off from the corner of 6th St. and Park View in downtown Los Angeles. 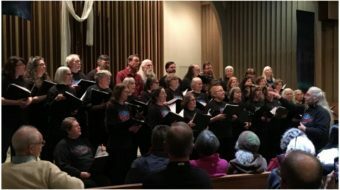 “The original May Day was an international workers’ celebration more than 130 years ago,” said Rusty Hicks, president of the Los Angeles County Federation of Labor, AFL-CIO. He was referring to the first workers’ May Day, which took place in Chicago in 1886 and soon spread around the world. 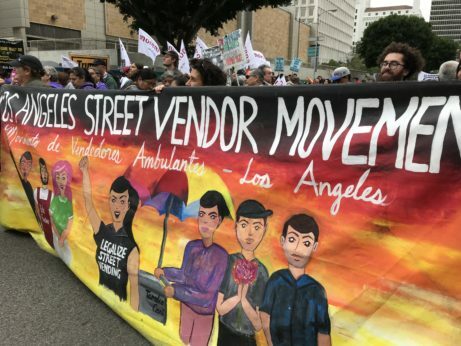 “May Day is a special day for the Garment Worker Center,” said its director, Marissa Nuncio, “as its history is steeped in the organizing struggles of 19th-century textile workers. Each year, and this May Day, we march to honor workers around the world. We march to connect the present-day fights for just wages, dignified working conditions, and an active voice in the workplace for the 45,000 garment workers in Los Angeles to the workers’ rights movement built by workers and their families!” Los Angeles, with its recent population growth among new immigrants from Asia and Latin America, is now considered the garment capital of the U.S., surpassing New York City. The Fight for 15 has scored notable success in Los Angeles and in the state of California, offering an example to the rest of the country. In many places, the minimum wage is still stuck at the federally mandated minimum of $7.25 an hour. There is no place in the country where workers earning that minimum wage would be able to support themselves. The corporate class claims that raising wages will translate into lost jobs. The experience of California shows this is not so: The economy is producing a surplus for the state. All labor and people’s civic organizations are encouraged to rally and march this year. The stakes could not be higher.